Having trouble keeping noise levels to a minimum? 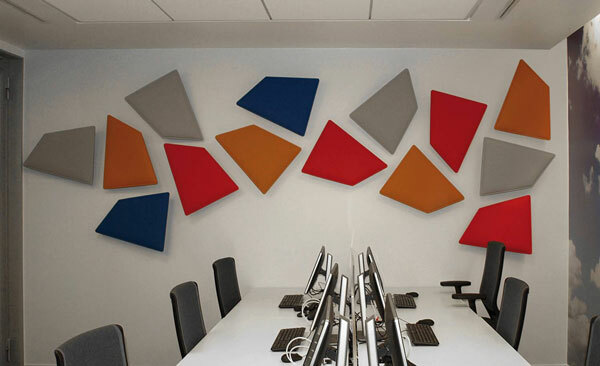 There are simple yet effective ways to reduce noise through the use of acoustic panels and sound masking. It goes without saying that a workplace must have good acoustics to enable productivity, efficiency and creativity from employees. If not dealt with properly, internal noise can result in an echoey environment making it hard to hear and to concentrate, whilst external noise that travels into the building, such as traffic, can also cause enormous problems for office workers. Similarly, if a workplace is too quiet, privacy can be an issue. Fabrics are super acoustic bricks made from acoustic foam and wool fabric, designed to divide up spaces and help to reduce noise. Fabricks are very easy to configure and reconfigure without any problems at all. If your business uses hot desking, Fabricks offer the flexibility to change up any spaces within an open plan workplace by creating walls for meeting spaces and individual work areas, also you can choose any fabric colour of your choice allowing you to match the decor. What’s great about Fabricks is that they are extremely lightweight, with a simple steel base and extruded aluminium posts; it is easy to specify and easy to build. The ‘house brick’ style gives interlocking rigidity to the design. Not only does it help to reduce noise, but the aluminium posts also accommodate power and data cables. These “In Panels” are easily inserted into suspended ceilings with profiles and supports that are able to hold their weight. 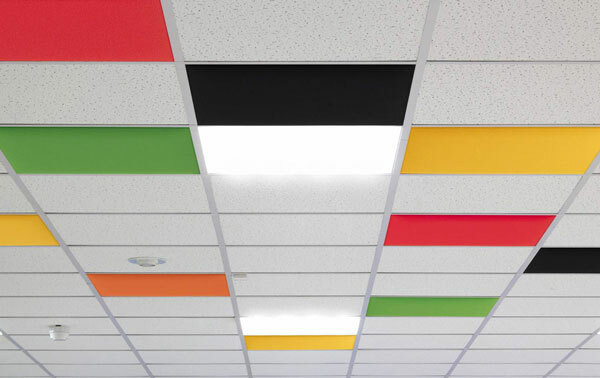 Regular ceiling panels are normally used for reverberation control, adding these extra-absorbent ceiling panels can improve the performance of screens and can assist in reducing distraction in open-plan spaces. Flap Panels have a rear chromed steel plate connected by an articulated spherical hinge to a chromed steel arm that can be mounted directly to the wall or to a ceiling. The hinges allow the panel to rotate 360° and incline in any direction, in order to personalise the aesthetic aspects and the acoustic performance of the product. Not only does it help with the masking sound, but they also create a funky and modern finish to your office design. It is important to assess all background noise from both external and internal sources and to determine the acoustic requirements of space before implementing any of the aforementioned suggestions. Office Changes can assist you in doing this and provide suggestions and solutions for all your workplace acoustic requirements or problems.